On Thursday, the Legislature passed 16 bills on Final Reading. One of these bills, LB 264, introduced by Senator Adam Morfeld, addresses challenges veterans face in translating military education, training or experience into a career license credential in the health professions. LB 264 directs the Department of Health and Human Services to accept education, training or service of a military veteran if the training is substantially similar to the education required for the credential. Currently, Nebraska is the only state without a provision for career licensure for separating service members. This is an initiative supported by the Department of Defense and an important protection needed for our military and veteran families. Also included in these bills is LB 240 which eliminates the sunset provision for the Behavioral Health Screening and Referral Pilot Program. In 2013, LB 556 established this pilot program to incorporate behavioral health into primary care settings. Primary care is an ideal setting for behavioral health treatment for several reasons. One, it has the potential to meet people where they are. 80% of people with a behavioral health disorder will see a primary care provider at least once a year. Two, it can help reduce stigma. When a patient seeks behavioral health treatment in a primary care setting, no one knows if you are visiting your primary care provider for a recent cold or depression. Three, it can help cut down on missed referrals. Embedding a behavioral health practitioner in primary care creates a warm hand-off between providers, increasing the number of successful referrals from 30-50% to an average of 85%. LB 240 passed on a 36-9 vote. Last week’s update highlighted LB 89, a bill to help families meet the basic needs of their families by increasing ADC payments for the first time in nearly 30 years. Governor Ricketts vetoed LB 89 last week; however, since that time, Governor Ricketts and Senator Campbell, the bill’s introducer, worked together on a compromise bill. The compromise was introduced as AM1551 to LB 607, which is currently on General File with a Speaker priority. AM1551 replaces the content of LB 607 with the negotiated compromise. 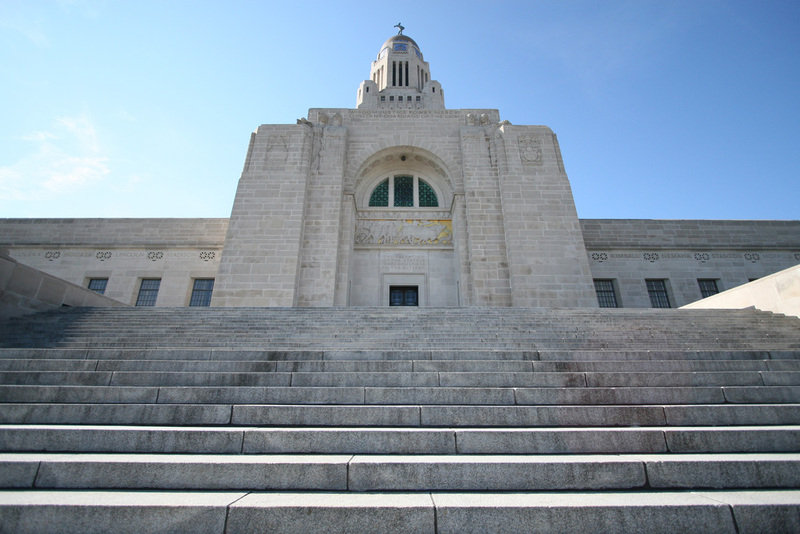 Under the amendment, Nebraska’s poorest families will receive an additional $72 a month, on average, in ADC payments. These payments will also be adjusted for inflation moving forward. Nebraska has built up a cash reserve in its public assistance (Temporary Assistance to Needy Families or TANF) program over the past several years. This reserve built up when the Nebraska Department of Health and Human Services received more TANF federal funds than they expended. These funds are earmarked through federal rules and can only be used for specific purposes. For example, LB 368, a bill I introduced during the 2013 session, appropriated $4 million from this cash fund to create a subsidized employment program for low-income workers now known as GoodHire. AM1551 to LB 607 taps this cash reserve and ensures that this increase for our poorest families will not require state funds until 2025. I appreciate the hard work and collaboration by Senator Campbell and Governor Ricketts in the past few days and look forward to supporting AM1551 and LB 607 on the floor. On Thursday, debate began on LB 643, introduced by Senator Garrett. As amended, LB 643 would adopt a state medical marijuana law modeled after Minnesota. The Minnesota law passed last year and officials there expect to begin dispensing marijuana products to registered patients later this summer. The compelling story of Charlotte’s Web and Colorado medical refugees has been a part of debate over legalization in many states. However, one of the challenges of any state legalization policy is that a single state cannot legalize the transportation of product, like Charlotte’s Web, across state lines. A federal bill to reschedule this substance could and Representative Fortenberry and Representative Ashford have expressed support for this federal policy. I have been clear from the beginning of my work to identify options for families with children with intractable epilepsy that I was not supporting state legalization of medical marijuana more broadly. While LB 643 contains restrictions that limit the uses and forms of marijuana, it is still a broader state legalization policy and I cannot support it. Debate on LB 643 will likely continue on Monday.